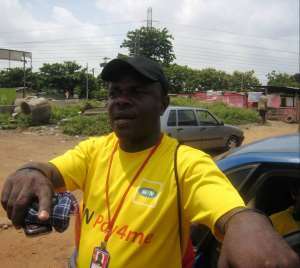 Greater Accra Circles chairman of Asante Kotoko Nana Kwame Danquah has called on the club to expound on reasons behind Steve Polack's sacking as supporters threaten to demonstrate against management. The management of Asante Kotoko issued a statement on Friday that they have severed ties with English trainer Steve Polack following the side's failure to progress to the next phase of the CAF Confederation Cup after losing 7-6 on penalties to Congolese side CARA Club - having ended both legs with 1-1 apiece on aggregate. The teeming fans of the Reds have expressed their displeasure over the club's decision to sack the 57-year-old gaffer, who many believe was not the cause of their woeful display on the continental stage. And according to Nana Kwame Danquah, the Greater Accra supporters wing of the club are threatening to hit the street to protest their anger unless management renders them tangible reasons for the Englishman's sacking. "Supporters want to know the reasons behind the sacking of Steve Polack because we hear he has been paid 8 months as compensation," Danquah told Oyerepa FM. "The greater Accra Circles want to demonstrate against management on 16th March but I have pleaded with them to exercise patience because I will be approaching management for explanations." "No one imposed Steve Polack on them so we need to know the reasons because supporters are angry and not satisfied." Meanwhile, reports emerging from the media indicate that the club is close to naming Samuel Paa Kwesi Fabin as their new coach ahead of the forthcoming campaign.